President Trump has directed Secretary Ryan Zinke at the Department of the Interior to review all national monument designations on federal public land since 1996 that are 100,000 acres or more in size. According to a copy of the report obtained by The Washington Post September 19, Interior Secretary Ryan Zinke has recommended that President Trump modify 10 national monuments created under the last 3 administrations, shrinking the boundaries of at least four western sites, and three marine monuments. The final revised report has been released recommending reduction in 7 National Monuments and three marine national monuments. In December, Trump announced a significant reduction to the Utah's Bears Ears and Grand Staircase-Escalante. Three marine national monuments are mentioned in the report: the Pacific Remote Islands and Rose Atoll near Samoa. A third monument mentioned is the Northeast Canyons and Seamounts in the Atlantic, established by President Obama in 2016. The Pacific Remote Islands Marine National Monument consists of Wake, Baker, Howland, and Jarvis Islands, Johnston Atoll, Kingman Reef, and Palmyra Atoll which lie to the south and west of Hawaii. These islands host some of the most abundant and diverse marine life in US waters and many endangered species not found elsewhere. This action could potentially impact over 1 billion acres of natural and cultural treasures on public lands and oceans that have been protected by presidents of both political parties, including one of the world's largest marine protected area. Removing this protective status will place America's most loved natural and cultural areas at risk to logging, mining, oil exploration and fishing. Under the Act, only Congress has the clear authority to reduce or nullify a monument designation, not the president. Show your support for our National Monuments and maintain their current status established by the 3 past presidents to protect our natural and cultural heritage. President Trump, leave the monuments as is and leave full protected status. By signing The Executive Order on the Review of Designations Under the Antiquities Act, Trump authorizes Secretary Ryan Zinke at the Department of the Interior to review all national monument designations on federal public land since 1996 that are 100,000 acres or more in size. This Act could potentially impact over 1 billion acres of natural and cultural treasures on public lands and oceans that have been protected by presidents of both political parties. Also at risk is the world's largest marine protected area, the Papahanaumokuakea Marine National Monument established in 2006 under President GW Bush and expanded under President Obama. Other marine protected areas in US Pacific territories and off the Atlantic Coast are now under threat. No president has repealed a Monument under the Antiquities Act of 1906. Under this Act, only Congress has the clear authority to reduce or nullify a monument designation, not the president. As a voter I urge you to deny any actions placing our National Monuments at risk of reduction or repeal. Tell your representatives you treasure our national monuments and urge them to fight any effort to dismantle these iconic public lands. To support case to maintain protection for Marine National Monuments in the Pacific, we are hosting aThis month-long exhibition features rare marine wildlife and exotic habitat in the Pacific Remote Islands Marine National Monument and Greater Farallones National Marine Sanctuary. Learn more at http://sharkstewards.org/14173-2/ and thank you for sharing the cause. "Sanctuary, Monuments and Marine Protection" May 5th, 1-3PM at the Bay Model Visitors Center, Sausalito. Thank you for signing in support of our Marine National Monuments. 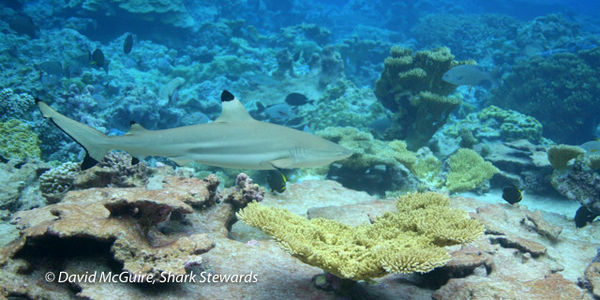 Shark Stewards, Earth Island Institute, Center for Biological Diversity and Stanford Law Center are preparing suit when the final determination to strip the Pacific Remote Islands and Rose Atoll. A leak indicates Interior Secretary Zinke has recommended that President Trump modify 10 national monuments created under the last 3 administrations including the Pacific Remote Islands Marine National Monument. Shark Stewards and the Earth Island Institute are preparing for litigation to stop any potential decrease in our Marine National Monuments. Thank you for signing- please share this petition!